Store Manager - Lodi, OH at Under Armour, Inc. The Store Manager acts as if he or she is the business owner and has ultimate responsibility for the daily operations* of the store. The Store Manager is accountable for effectively teaching, training and coaching store management into a high performing leadership team that achieves sales goals, meets merchandising brand standards and delivers operational excellence. 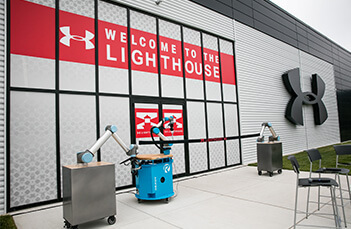 The Store Manager is expected to role model Under Armour’s Core Competencies and I WILL behaviors in all actions and interactions in order to create a positive Teammate and Athlete experience. Motivate and inspire the team by delivering a compelling vision and purpose which encompasses Under Armour’s Core Competencies and I WILL behaviors. Establish and execute a strategic plan to achieve planned sales and key performance indicators for all time periods. Evaluate store sales and payroll goals using payroll reports and tools; make scheduling adjustments to meet business needs. 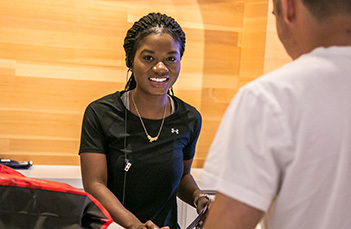 Build Athlete loyalty through in-store experience, through the use of Athlete data capture, endless aisle and the understanding of Connected Fitness applications. Supervise the efficient and productive handling of all merchandise including shipment receipt and processing, floorsets, markdown optimization and replenishment systems while maintaining backroom standards. Manage payroll and schedule adjustments effectively to maximize productivity and to achieve payroll and sales targets. Teach, train and coach the store management team through successful completion of Division of Responsibilities (DOR) to develop future leaders for the company. Develop succession plans to ensure career paths for all teammates; encourage teammates to pursue internal opportunities. Recognize and properly resolve teammate performance issues; communicate high priority issues to their manager in a timely manner and collaborate to develop a plan for resolution to minimize risk. Consistently assess and provide ongoing performance feedback on QB skills, job expectations and Core Competencies through real-time coaching, scheduled touchbases, individual development planning and the performance review process. Lead the mid-year and annual review process for all teammates. Engage in compensation decisions in partnership with their manager. Manage store census, seasonal hiring needs and anticipate turnover. Proactively network, recruit and interview based on assessments to ensure staffed at all times. Ensure that the store management team adheres to and enforce all employment practices and policies. Lead all visual directives ensuring mapping and floorset are properly planned, scheduled and executed seamlessly within allotted timeframe. Minimum 3-5 years of retail or equivalent management experience preferred. Demonstrated ability to work in a fast&dash;paced and deadline&dash;oriented environment.